She was born in Sivas in 1974. In 1997, she graduated from Kırıkkale University, Faculty of Literature. 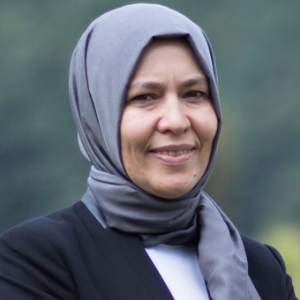 After completing her post graduate studies at the Institute for Turkic Studies, Marmara University in 1997-1998, she worked as a literature teacher and the department coordinator at a private education institution between 1998 and 2013. Between 2013 and 2017, she worked as a literature teacher at Kadıköy Anatolian Religious Vocational High School. As of 2017-2018 academic year, she joined NUN Schools Family. She has radio programs in a national radio and Diyanet radio on children and literature. In addition to these, she provided translation services from French to Turkish for various literary magazines and published a research book named “Halk Edebiyatından Seçmeler” (Selections of Folk Literature).